What's this? 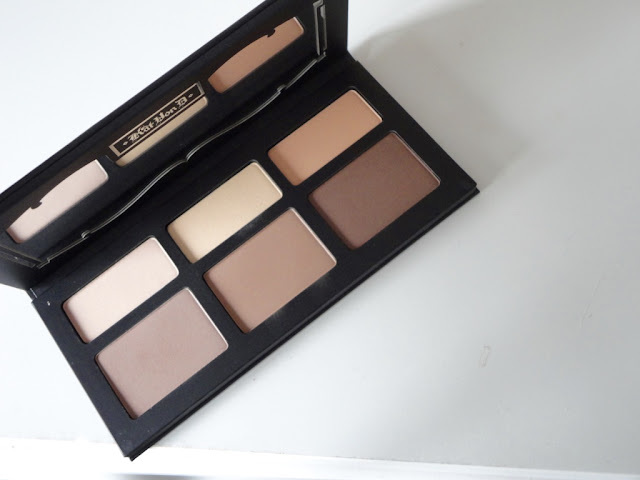 The Kat Von D Shade & Light contour palette has been doing the rounds in the beauty community for some time now, and I've been putting off getting the Anastasia contour kit because I really wanted this one. So, when I went into the Sephora in Barcelona, as soon as I saw it I knew I had to get it! It features 3 light powder shades and 3 dark contour shades. Where do I get it? Unfortunately, I've not been able to find a reputable UK stockist for this, but you can get it on Sephora here, or on the Kat Von D site here. Other than that, if you know someone who is going to somewhere with a Sephora soon, ask them to pick it up! It is $46 (around £31 so actually cheaper than the Anastasia one!). The Pros... It is such a gorgeous, extremely pigmented palette (as you can probably see from the swatches!). 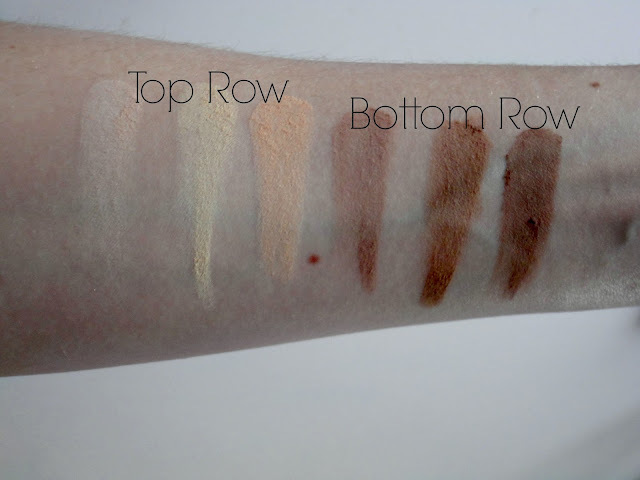 The middle yellow shade on the top row has become my go-to under eye setting powder, and I use both the left and middle contour shades regularly. They have great lasting power, and are probably the most intense contour shades I've ever found that don't make your makeup look muddy or too dark! As a really pale girl, these contour shades are perfect for me too, as they have a nice grey undertone (especially the bottom left shade) so I'd highly recommend this for anyone who's quite pale! The Cons... Obviously, the biggest con would be how difficult it is for any UK beauty lovers to get their hands on this! (I promise you, it is worth the wait to hunt it down!). The only other con I could think of is that because the shades are so pigmented, you really do have to use a light hand on these (especially the contour shades), as you don't want to apply too much product and go overboard! Other than that, I could say that once I run out of any shades, it would be annoying to repurchase the entire palette, but I hear that they are coming out with refill pans soon so that will no longer be a problem!